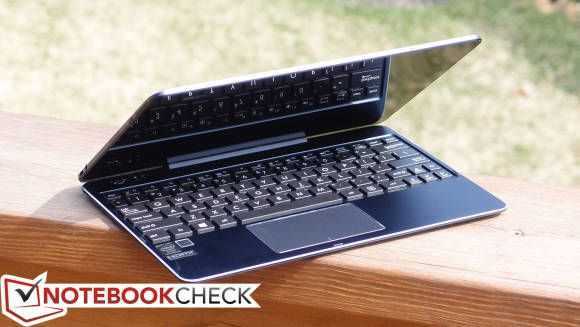 Tag Archive | "t100 chi"
Asus Transformer Book T100 Chi review round-up: 78.5% average. The review scentists at Notebookcheck finished their ASUS T100 Chi review last month and I’ve just read through it and compared it, virtually, with the Surface 3 and the Dell Venue 10 Pro I reviewed last week. Other reviews are out too and in summary it looks very good indeed for the T100 Chi despite it not having an Atom X7 CPU. There are a few issues to think about though. I have a feeling we’ll see an updated T90 Chi at Computex next week so if you’re looking for the ultimate in portable productivity you might want to wait but consider this: With a 1.1KG total weight and a great Full HD screen, a digitizer layer, USB 3.0, high-end Z3775 CPU and a lot of style – for just $399 – the T100 Chi is a leading option in the ultra-mobile PC space.